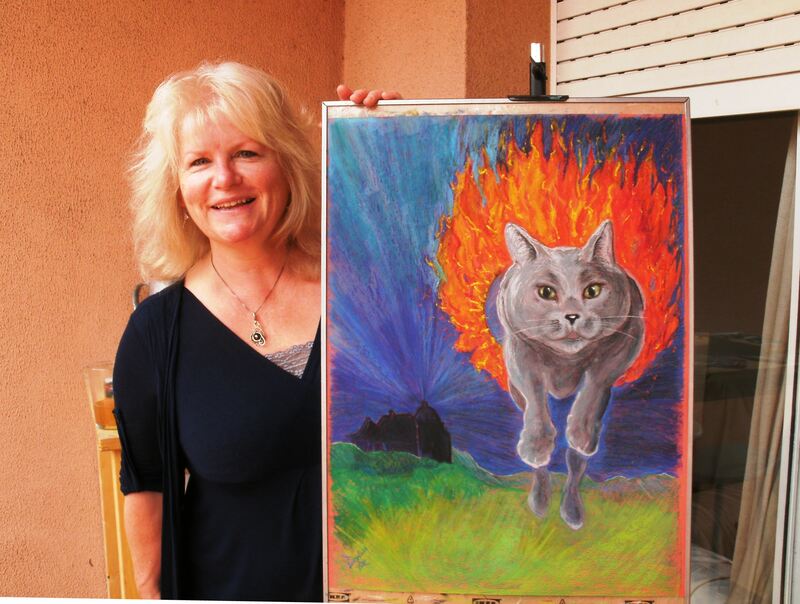 Home / Blogs / Sketchbook Blogs / Cat´s Afire! My third attempt in oil pastels – a rousing success! I thought, why do just a cat portrait? Penny´s a circus performer at heart – so through the hoop she goes! Oil pastels are fun, like big gooey crayons – big slashes of color, easily correctable and fun to smear and mix colors – I´m like a big kid again!